India is one of the top tourist destinations of the world. 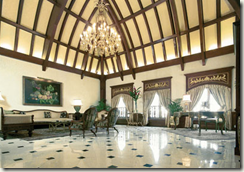 In this article, we cover top five luxury hotels in India. According to Forbes, most of the luxurious hotels in India belong to Oberoi Group, found in the year 1934, the firms owns and manages about 32 hotels and luxury cruisers across five countries under the Oberoi Hotels & Resorts and Trident Hilton brands. Rajvilas in Jaipur, followed by Amarvilas in Agra, udaivilas in udaipur can be given as examples for its luxurious designs and services that is meeting the international standards and services. However Forbes, has declared the top 5 luxury hotels in india by considering first and foremost for their overall standard of service and style, then for their unique distinguishing features or amenities, like standout views or tent accommodations. Amanbagh is a verdant oasis of mature palm, fruit and eucalyptus trees lying within a walled compound once the staging area for royal hunts. Evoking the palatial elegance of the Moghul era, Amanbagh’s Haveli Suites and Pool Pavilions provide a tranquil base from which to explore the rich heritage of Rajasthan, India’s dramatic frontier region. 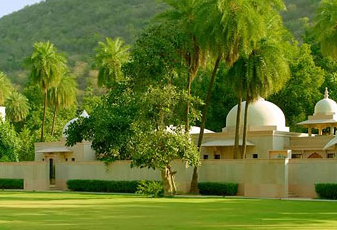 Amanbagh’s award-winning design features domed cupolas and private courtyards. Udaipur, in the heart of Rajasthan, is a city of majestic palaces and beautiful lakes.Udaipur has been rated as the best city in the world by Travel + Leisure, USA in the 2009 Readers’ Poll.The Oberoi Udaivilas captures all the romance and splendour of a royal era. 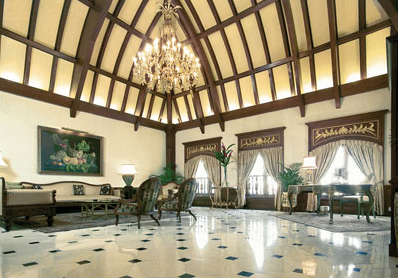 This 565-room hotel weaves Moorish, Oriental and Florentine styles together: It features vaulted alabaster ceilings, onyx columns, archways, silk carpets, crystal chandeliers and a cantilever stairway and in the hotel dining venues, the menu changes each month to match the astrological sign. The Amarvilas in Agra, built in a style inspired by Moorish and Mughal architecture, less than a mile from the Taj Mahal and offering breathtaking views of the monument.